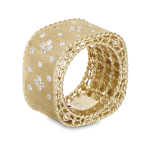 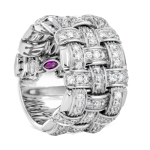 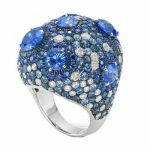 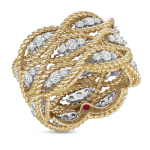 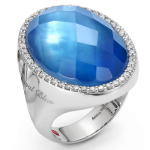 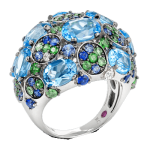 Haute Couture ring in 18kt white gold with blue sapphires and diamonds. 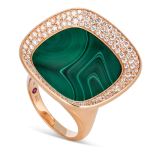 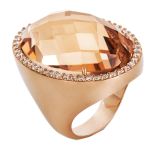 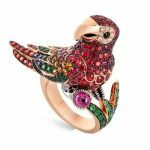 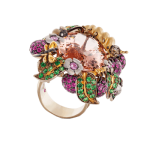 Parrot ring in 18kt rose and black gold with black, blue, orange and yellow sapphires, rubies, prasiolite and diamonds. 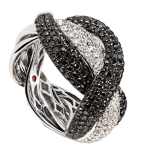 Fantasia ring in 18kt white gold with black and colourless diamonds.